In June 2016, Walt’s Dairy, a family-owned fourth-generation dairy farm in Copake, NY run by Bill and Rosalie Kiernan and their two sons, Walter and David, was permanently protected with affordability restrictions. The Kiernans market through Cabot and Hudson Valley Fresh, a regional dairy cooperative that Bill helped start in 2005, that provides farmers a higher and more stable price than available through the large consolidators. Their 347 acres, highly visible from State Route 22 and the Harlem Valley Rail Trail, are prime quality farmland. 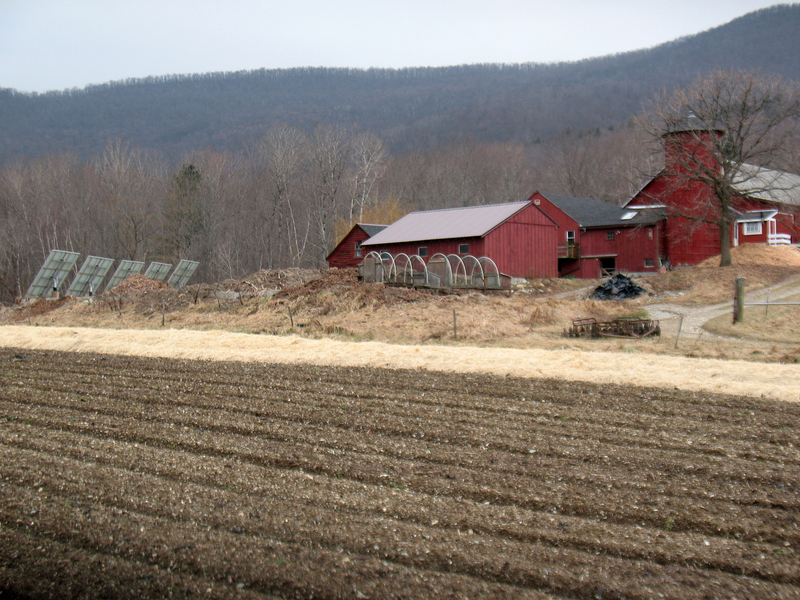 The farm was protected through sale of a conservation easement to Columbia Land Conservancy, paid for by the USDA Agricultural Conservation Easement Program, Scenic Hudson, and Equity Trust’s Hudson Valley Farm Affordability Program. The money from our program paid for resale restrictions that ensure future sales will be made to farmers at an affordable price. The farmers immediately used much of the capital from the easement sale to invest in additional land, strengthening their business as they prepare for succession to the family’s fifth generation.